KARACHI : It’s a beautiful thing to witness the birth of a new star. And what’s better than to watch several new stars make an impactful debut in one film and put the entire industry on notice. Mohsin Ali’s Chupan Chupai, the last Pakistani film of 2017, does just that. Chupan Chupai, which borrows its story from a Tamil film, revolves around four unemployed men, Babu (Ahsan Khan), Teeli (Vajdaan Shah), Faddy (Zayed Sheikh), and Koki (Ali Rizvi), who resort to kidnapping to make ends meet. They end up kidnapping the minister’s son (Faizan Khawaja) and the consequences lead them to battle against the notorious police officer Chaudhary (Adnan Jaffar). After a disappointing year for the local film industry, not many had expectations from Chupan Chupai to deliver a quality experience. Chupan Chupai , in that aspect, is an important film for the local industry. It proves one point: It’s time to invest in younger (albeit yet unproven) talent. Most of the team behind the film come from a theatre background and if you have watched them perform live, you already know their potential. For the rest, give the young guns a chance and you would get more than your money’s worth. Granted, except the Udaari star, one would be unfamiliar with most of the names. Yet, they are the ones who prove their acting prowess the most. Shah, Rizvi, Sheikh (who also serves as the co-producer) show that carry the film and are so comfortable in front of the camera you’d doubt it’s their debut. Shah owns his character of a street-smart, angry young man. Rizvi, as the idiot of the gang, is the true star of the film. With his impeccable comic timing and over-the-top expressions, he delivers the most memorable, laugh-out-loud funny moments. Watch out because there’s no denying that he will be a major player in the industry in the coming days. A special mention goes to National Academy of Performing Arts (Napa) for training and nurturing powerhouse talent which is just beginning to show the world what they’re capable of. Khawaja is brilliant as the minister’s son. His low-key cunning nature and the boiling frustration resulting in interesting decisions make room for much chaos in the film. Neelam Munir, as Babu’s girlfriend Pari, serves her limited function of sprinkling masala in the film. That’s her only purpose. Khan is effective as Babu. While some of his character’s actions go unexplained, he fulfills his role of carrying the story forward. 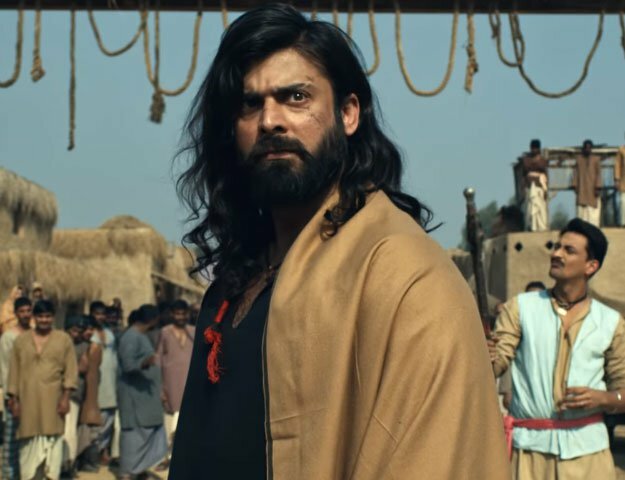 Although it isn’t his debut (and he’s already a star), Chupan Chupai should be to Khan what Na Maloom Afraad (NMA) was to Fahad Mustafa, and must raise his stock way high. The beauty of Chupan Chupai is that, even with its loopholes, it has more than enough to keep you engaged (mostly hysterically laughing) and busy with several twists and turns. And yet, it leaves enough doors open for a potential sequel. The film, with everything it offers, may very well become a cult classic some time from now. ‘Support local cinema’ has become a most repulsive cliché for me lately because its common usage infers mindless, flag-waving loyalty over quality. But in this case, it may be apt because by supporting these emerging stars (who actually know their craft, unlike many), we ensure that the future of the industry is safe. After the massive disappointments like Arth and Rangreza, Chupan Chupai gives you a solid reason to return to theatres and support good, entertaining cinema. Verdict: If you enjoyed watching Na Maloom Afraad, Golmaal and Fukrey, Chupan Chupai is a must-watch that will make you laugh your head off.